Shelby County Mayor Mark H. Luttrell, Jr. is looking for twenty (20) new members to serve on the Mayor’s Youth Council (MYC) during the next school year. The advisory council is for young people in grades 9-12. Council members guide Mayor Luttrell on key issues related to youth. “The council allows me to routinely hear the ideas and suggestions of our future leaders. It’s vital we listen to their opinions and create opportunities to help them succeed in business and civic affairs,” said Mayor Luttrell. Last year, the council sponsored Shelby County Government Day that featured educational sessions about county divisions and bureaus. The MYC also conducted a mock debate which helped youth better understand the political process. The MYC also conducts a forum at their monthly meetings to promote ways local businesses can include young people in their workforces. Applications are being accepted only online through midnight, May 22, 2017, at https://www.surveymonkey.com/r/CQF87FY. For more information, contact David McKinney at david.mckinney@shelbycountytn.gov or call (901) 222-2000. Works under the direction of the Administrator of Wastewater Collection. Directs and coordinates, through subordinate supervisory personnel, activities of workers engaged in repair and maintenance of the City’s sanitary sewer system: Reviews and analyzes reports and records and confers with supervisory personnel to obtain data required for planning department activities and to address future needs; gives work direction, resolves problems such as disgruntled property owners, and sets deadlines necessary to meet work objectives; evaluates current procedures and practices and develops and implements alternate methods to improve operations; researches and evaluates new developments in material, tools, and equipment to recommend or deny purchase; reviews new land development projects to evaluate additions and modifications to sewer system; coordinates department activities with inter-related activities of other City departments and representatives of utilities to insure optimum efficiency; prepares various reports for management, state and EPA; prepares and monitors budget; prepares bid specifications and contracts necessary to requisition tools, equipment, and supplies; inspects work sites to evaluate work requirements; and directs clerical personnel in typing reports and record keeping activities. Works under the direction of the Deputy Chief of Logistics to provide overall technical support for Division of Fire’s data management program. Manages the division’s fire data program to identify, acquire, validate, secure, catalog, and publish data. Coordinates the process and procedures of the database analyst for comprehensive reporting, submittal and release of accurate fire data, and the use of appropriate statistical methods. Collaborates with the Office of Performance Management and other City divisions to develop, implement, and improve fire data collection and evaluation processes. Ensures necessary data to support fire data management and improvement projects is accessible to management. Provides guidance and work direction to division personnel in examining complex fire data and interpreting results using advance statistical analysis. Provides recommendations on the best methods to ensure statistical efficiency and data quality. Develops ad hoc statistical reports, graphics, and presentations related to organizational performance. Ensures that fire data metrics are complete, accurate, and timely. Seeks opportunities to help leverage information to improve performance. Partners with the City’s data governance committee to develop data governance policies and practices. Manages the fire data request programs in collaboration with internal and external stakeholders. Provides guidance to personnel on the functions of fire data management including National Fire Incident Reporting (NFIRS) to the State of Tennessee. Develops procedures for data submittal and input which includes the design of fire data-sets, standardization of forms, and data encoding. Identifies training needs and trains personnel in data management application and analyzes data to determine needs, cost benefits, and trends for both short and long term planning. Assists with the preparation of grant applications, internal reports, internal and external fire data requests, budget requests, and equipment and personnel levels and assignments. Coordinates and plans work with Information Systems personnel to research and recommend acquisitions or upgrades of statistical resources, software programs, and computer utilities. Travels to meetings with divisional liaisons throughout the city and conferences in other cities by driving. 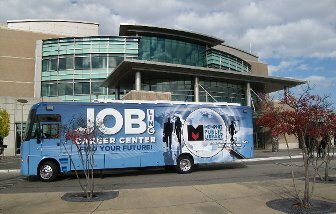 Job Location: Memphis, TN – Thousand Oaks Blvd. CLAIM YOUR FUTURE AS A GREAT PERFORMER! PRIMARY PURPOSE: To provide high quality service to both internal and external customers, delivering an easy and efficient customer experience for routine lost time. · Processes incoming calls, faxes and voicemails from claimants, providers, clients, attorneys, etc., resolving their claims related questions and issues in accordance with designed guidelines and policies. · Communicates claims status and current claim activity with client and appropriate medical contact; responds to inquiries about jurisdiction- and claim-specific issues. · Enters data into claims system(s) and ensures claim files are properly documented and claims coding is correct. · Coordinates claimant address updates or changes with internal departments. · Provides referrals to legal, utilization review, pharmacy, and Special Investigations Unit (SIU) as appropriate and coordinates independent medical examinations. · Supports the organization’s quality program(s). High school diploma or GED required. Associate’s degree from an accredited college or university preferred. Professional certification as applicable to line of business preferred. Two (2) years of administrative and/or customer service experience or equivalent combination of education and experience required. Additional Information: Specific workdays and hours will be assigned based on business needs taking into account candidate preferences, when possible. Only a few positions left!!! Busy landscape company searching for Lawn Maintenance Workers and Crew Leaders that will help our company provide the quality of service our customers deserve. We are looking for team members that are punctual, have good work ethic, able to work with others, and presents themselves in a professional manner. The ideal candidate will be knowledgeable about all aspects of lawncare and be able to work in a timely, yet efficient manner. – Must provide resume of previous job experience. – Must have valid driver’s license/clean record. – Must be dependable and on time. Average day starts at 7 a.m.
– Must have transportation to office. – Must be able to perform physical labor in all weather conditions. Lawn maintenance – mowing, (Walk Behind and Zero Turn experience a plus) edging, trimming, blowing, sod installation and leaf clean-up. Hardscape installation – ponds, pavers, irrigation systems, lighting and rock borders. Bed maintenance – plant installs, pruning, mulching, pine straw and promix application. With the correct employees, we will continue providing top quality landscaping services that our customers have come to expect. Do you feel that you fit the above criteria? If so, please submit your resume and be part of a winning team!